Gossip can often get out of hand when not properly addressed especially when involving celebrities. Qin Junjie and Yang Zi who have been dating since 2016 are very sweet in the public eye, but even they have been the subject of breakup rumors as of late. The two have been quick to tamp down rumors through a simple comment on social media. 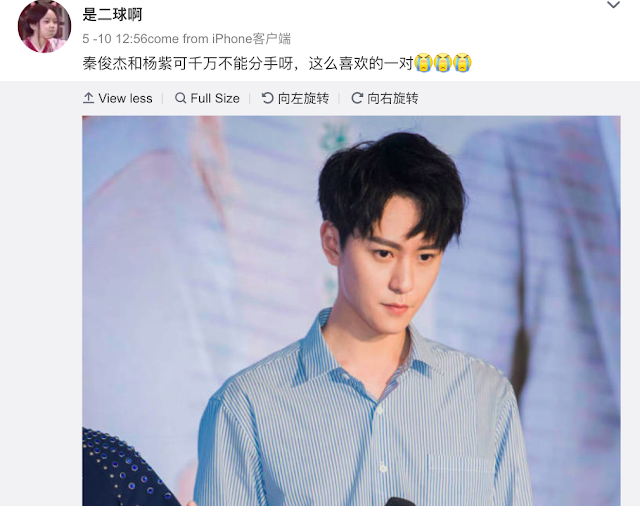 On May 10, a netizen wrote on her weibo, "Qin Junjie and Yang Zi cannot breakup, they're such a likeable pair." 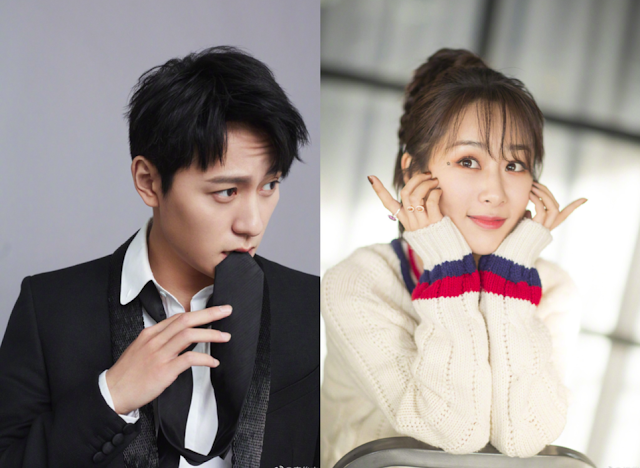 This week both Qin Junjie and Yang Zi assured the concerned fan not to worry and that they won't. Comment 1 (Qin Junjie): It won't, don't worry! 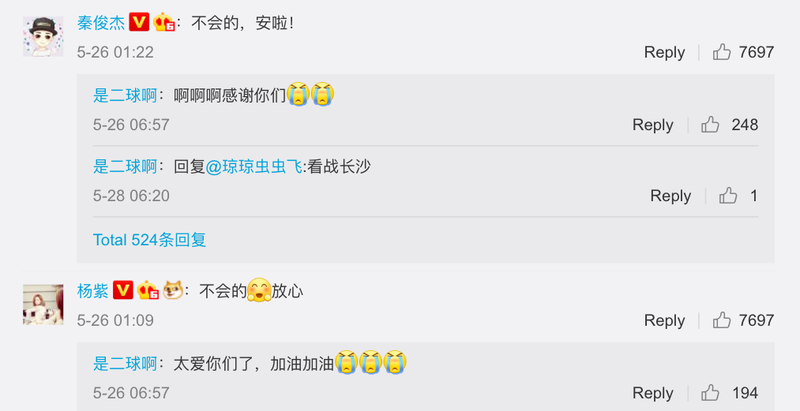 Comment 4 (Yang Zi): It won't, don't worry. Comment 5 (Original poster): Love you both too much, add oil, add oil! Maybe provide a translation for the chinese messages. I can read the simple characters so I can more or less understand the chinese messages without any translation. Good call, will try to when I can:) Thanks. Thanks for the translation! That's cute! How exciting for the fan. She must have freaked out seeing their responses. What does "add oil" mean? That's basically the translation of the "jiayou" but it's used as a way to encourage, show support or to cheer someone on. @Anonymous: Thanks for explaining. The funny thing is I know what "jiayou" means from drama watching but I didn't realise it literally translates to "add oil" lol!